The Best Morocco Blogs from thousands of Morocco blogs on the web using search and social metrics. Subscribe to these websites because they are actively working to educate, inspire, and empower their readers with frequent updates and high-quality information. Morocco newsletter is a comprehensive summary of the day's most important blog posts and news articles from the best Morocco websites on the web, and delivered to your email inbox each morning. To subscribe, simply provide us with your email address. New York, NY About Blog Morocco World News is dedicated to bringing the news of Morocco and the MENA region to a wide audience without bias or a political agenda. Follow this site for latest news and updates related to politics, sports, education, business and culture in Morocco. Facebook fans 619,386. Twitter followers 8,158. Marrakech, Morocco About Blog Get tips, stories, and inspiration to have experiences outside your comfort zone as you explore Morocco and the rest of the world. Whether you’re traveling solo or have kids in tow, you’ll find honest, practical advice about non-bucket-list destinations around the world. MarocMama offers travel stories that bring you along on the journey, practical advice to help you plan your own adventures, and recipes from around the world so you can re-live your travel experiences long after you return home. Facebook fans 7,415. Twitter followers 6,641. About Blog Journey Beyond Travel is all about Morocco trends, lifestyle,arts,food,tourism. Follow this site to know more about Morocco arts and culture,lifestyle,food etc. Facebook fans 6,513. Twitter followers n/a. Facebook fans 28,973. Twitter followers 2,227. About Blog The Atlas Lions is a website that bring the Atlas Lions fans worldwide together and keep them up to date with the latest news and events. Check out this site to know more about latest updates regarding Atlas Lions. Facebook fans 5,914. Twitter followers 468. About Blog MoroccoTomorrow provides the latest news related to business, green business, politics, elections. Follow this site to locate the latest breaking Moroccan news including in-depth analysis of business news, politics and major events. Facebook fans 4,788. Twitter followers 1,426. Facebook fans 20,590. Twitter followers 576. Stockholm, Sweden About Blog Follow to keep up with tips for travellers visiting Morocco. The realest Morocco seen through the eyes of a foreigner by Monika. Facebook fans 13,026. Twitter followers 2,626. Morocco About Blog Desert Espace Blog is a blog about travel guide in Morocco. Follow this site to know about the different places in Morocco. About Blog Viva Morocco Blog is a glimpse into the beauty of Morocco. Follow this site to know more about Morocco history, arts and culture, beautiful honeymoon destinations, fashion and heritage. Facebook fans 10,531. Twitter followers n/a. Rabat About Blog This blog targets individuals and give answers to : How to be creative ? How to be innovative person? How to transform an original idea to a concrete innovation and thereafter a real business ? The blog targets also business people and give answers about: What is management ? How we can manage Idea capture? How manage an innovation portfolio or project? How to support our decision making process with an efficient process, methods and tools like Business Intelligence, Data analytics ..? Morocco About Blog Discover the Art of Traveling in Morocco. Make your next trip extraordinary! Tips & Inspiration for the Morocco Traveler can be found here on our trendsetting Morocco Travel Blog. Having lived in Morocco for over a decade, I specialize in Hand curated, Private, Cultural Tours and Experiential travel. Use Alecia Cohen’s TRAVEL TIPS to plan your next Moroccan adventure. Facebook fans 1,487. Twitter followers 1,217. About Blog Moroccan Musthaves is all about Morocco lifestyle, travel, beauty and fashion. Follow this site to know more latest updates on Morrocan fashion and lifestyle,travel and beauty. Facebook fans 4,383. Twitter followers n/a. About Blog Morocco-recipes is the destination for food news & recipes that creates & shares traditional Moroccan dishes with exciting ingredients & new techniques of cooking. Follow this site to know more about Morrocan food culture. Marrakech About Blog Why Morocco blog is all about lifestyle, culture, food, music, travel in Morocco of a Canadian PR girl. Follow this site for more latest updates on lifestyle and trends, music, culture in Morocco. Facebook fans n/a. Twitter followers 2,085. San Francisco, CA About Blog This subreddit discusses everything about Morocco which lets you easily talk to friends, view live stories and explore news. Facebook fans 1,194,463. Twitter followers 564,998. About Blog Accommodation Marrakech blog is all about excessive and handpicked boutique and luxurious accommodation in Marrakech. Follow this site to know more about luxurious accomodations in Marakech. 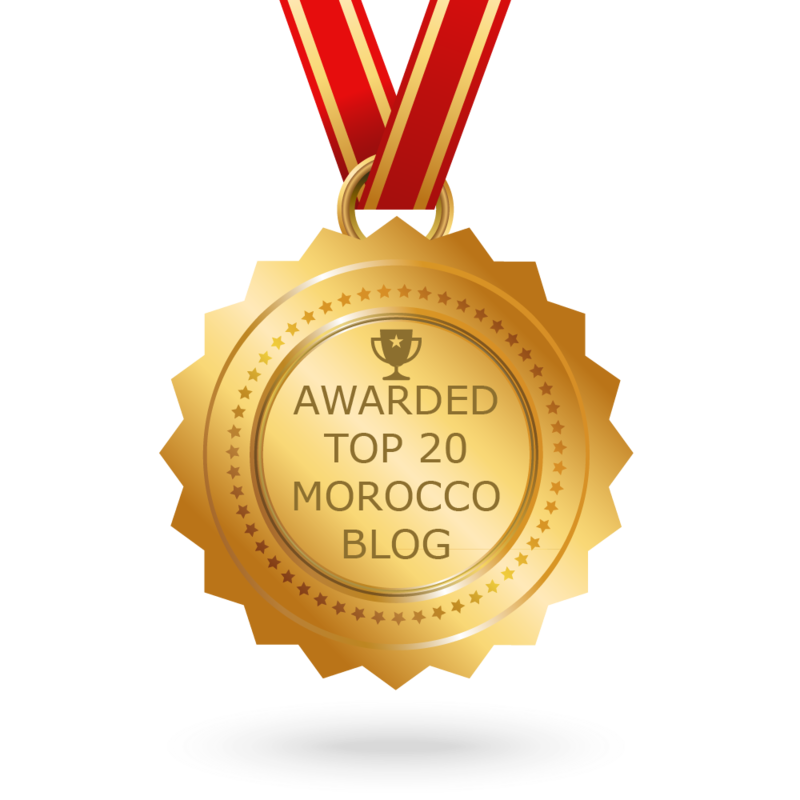 CONGRATULATIONS to every blogger that has made this Top Morocco Blogs list! This is the most comprehensive list of best Morocco blogs on the internet and I’m honoured to have you as part of this! I personally give you a high-five and want to thank you for your contribution to this world.